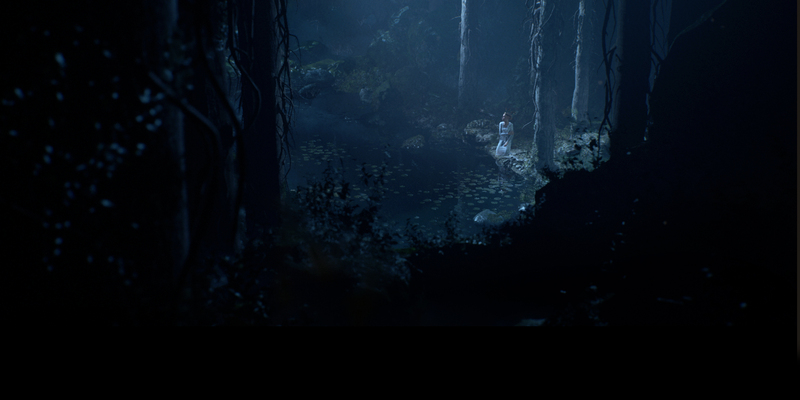 During today’s “State of Unreal” GDC opening session, Goodbye Kansas and Deep Forest Films revealed “Troll,” a cinematic tech demo, directed by Bjorne Larson, that raises the bar for ray-traced scenes in Unreal Engine 4, featuring unprecedented levels of cinematic-quality lighting in a real-time short. The project intersects award-winning filmmakers with traditional pre-rendered pixel perfectionists, empowered by game industry pioneers. To drive a new generation of content creation for film, TV and games, Goodbye Kansas built “Troll” -- using no custom plugins or code -- to showcase the slate of ray-tracing features coming in Unreal Engine 4.22, demonstrating how they can be used to deliver stunning, Hollywood-quality results in real time. Based on the visual styles of Swedish painter and illustrator John Bauer, the short follows a princess on a journey through a misty forest full of fairies. 3Lateral, as part of Epic Games, carried out 3D and 4D facial scanning, applying its Meta Human Framework to contribute to the subtle and emotionally rich facial performance of the digital princess. “Goodbye Kansas has always strived to work with the best talent in the industry, and it has been a very rewarding experience to team up not only with the great people at Epic Games but also incredible talent from the film industry, intersecting creative minds and technology pioneers in ways never seen before,” said Fredrik Löving, Studio Manager, Goodbye Kansas LA. Special thanks to NVIDIA, whose high-performance ray-tracing technology allowed the teams to complete this project with just a single graphics card, the RTX 2080 Ti. NVIDIA will be hosting a demo and “Making of Troll” tech talk with Epic’s Marcus Wassmer and Juan Cañada at this week’s GPU Technology Conference in San Jose. Creating realistic digital humans remains a key goal for filmmakers, content creators, and game developers, with additional applications across simulation, research, and more. Epic remains committed to mastering this process through real-time rendering, and democratizing the tools through Unreal Engine.